Jude found the rambling old bookshop when she visited last summer, the high point of a miserable vacation. Now, in the depths of winter, Lowell's store is a warm, safe place. Jude needs a bolt-hole, Lowell needs an assistant, and when an affordable rental is thrown in, life begins to look up. 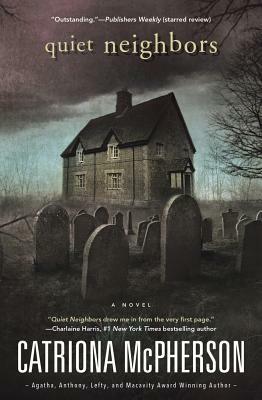 The gravedigger's cottage isn't perfect for a woman alone, but at least she has quiet neighbors. Quiet, but not silent. The long dead and the books they left behind have tales to tell, and the bookshop is not the haven it seems to be. Lowell's past and Jude's present are a dangerous blend of secrets and lies, and someone is coming to light the taper that could destroy everything.